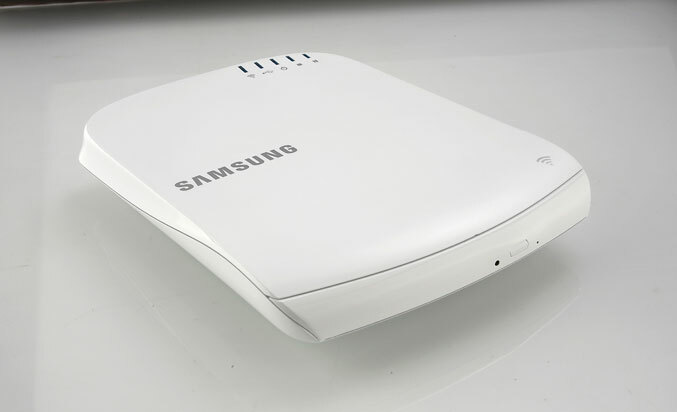 Last week Samsung Electronics revealed a new, very interesting external optical disk drive codenamed SE-208BW, which along with standard CD/DVD playback and writing capabilities also offers wireless access point (AP) and repeater functionality, and allowing you to share the content of the discs wirelessly. Samsungs’ new drive feature sleek, gloss surface casing, measuring 140mmx21.5mmx200mm, it can be powered through its USB port, offers wireless streaming to smartphones and tablets, as well as easy backup of your pictures, video or contacts onto CDs or DVDs without the need of a computer. The SE-208BW also supports Dynamic DNS which enables the drive to work as a private server, it is DNLA compatible and includes AllShare feature that allows users to view drive’s content through the TV menu to play and record multimedia files onto CDs and DVDs. Samsung SE-208BW has integrated Buffer Under Run technology to prevent errors and supports writing speeds of: 24X CD-ROM, 24X CD-RW, 8X DVD reading and 8X DVD±R, 5X DVD-RAM, 6X DVD+R Dual Layer, 6X DVD-R Dual Layer, 8X DVD+RW, 6X DVD-RW recording. The SE-208BW drive will be available the beginning of 2012.